Drs. Lafferty & Bleak uses E4D, a technologically advanced laser and computer to take a digital image of your teeth. 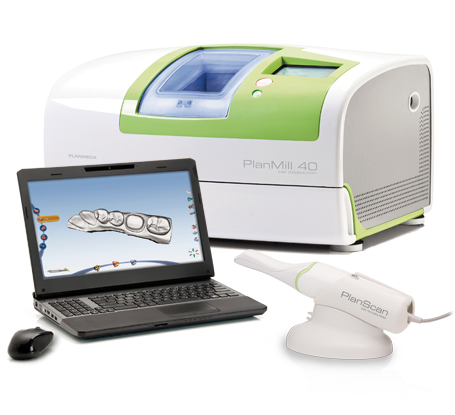 Using highly sophisticated 3-D software, we then model and design your customized restorations with ideal specifications. You can actually watch your new teeth being created on a monitor right before your eyes. From this individual, unique model and computer image, we mill crowns, veneers, inlays, bridges and other restorations on a high speed milling station located right on-site. We then hand-shade and customize the restorations to match your desired aesthetics while you watch or simply relax in the chair. This new highly advanced and comfortable procedure means no more leaky temporaries, uncomfortable impressions, and waiting 2-3 weeks for final restorations. There are now fewer appointments, less drilling, less grinding, less numbing, and less time out of your schedule. The end product is superior in fit, appearance, and durability. Many people who have lost teeth feel too self-conscious to smile or talk. In addition, biting irregularities caused by tooth loss can have a significant effect on eating habits, leading to secondary health problems like malnutrition. 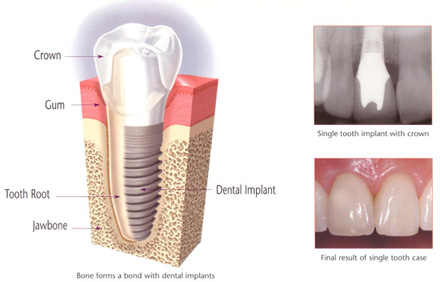 Dental implants have become a very successful treatment option to replace missing teeth, which offer patients increased comfort and confidence. They can help you smile again. Digital radiography, or computerized X-ray, is part of the high-tech services that we provide to our patients by utilizing the DEXIS® Digital X-ray system. Digital X-rays use 90% less radiation than traditional film. Instead of a piece of film, the system’s sensor is placed in the mouth to capture an X-ray. 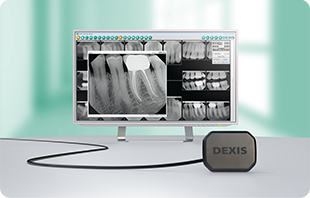 The DEXIS® system uses a sensor with rounded corners and a smooth casing that makes the process of taking X-rays more comfortable for you. Another benefit is time savings. There’s no waiting—as soon as the X-ray is taken, it appears immediately on the computer monitor. And because of the enhancements in the digital X-ray software program, we are better able to diagnose and treat conditions. Since the images can be enlarged, you are able to clearly visualize and understand the diagnosis and proposed treatment plan. Early diagnosis is the key to more conservative and less costly treatment. 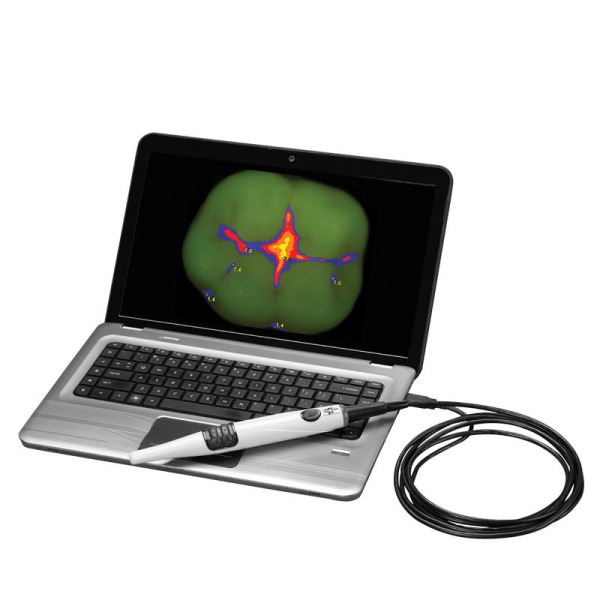 Spectra is a new imaging and fluorescence device that aids in the diagnosis and treatment of tooth decay. The camera’s auto fluoresce technology allows us to detect decay, even in its earliest stages. Drs. Lafferty & Bleak believe that it is very important for you to understand the condition of any given tooth requiring treatment. This is why they have invested in small high resolution cameras that can take pictures of your teeth and then show them on a computer monitor. 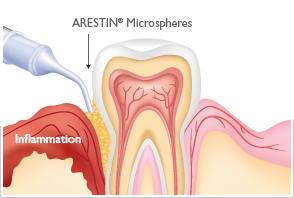 Arestin™ (minocycline HCl 1mg) microspheres is a treatment for chronic periodontitis, an infection of the gums that can lead to tooth loss and may be linked to other serious diseases such as cardiovascular disease, osteoporosis and diabetes. Periodontal disease (gum disease) occurs when bacteria builds up on your teeth under the gums, causing your gums to become red and swollen. This inflammation, if left untreated, eventually results in damage to the ligaments and bone which hold your teeth in place. Arestin™ is an antibiotic and is administered locally, directly into the infected pockets between your teeth. When used together with scaling and root planning, Arestin™ significantly reduces the depth of infected pockets and helps prevent disease progression.